At least eight completed Spokane ballots with signatures on them appear to have been misread by United States Postal Service machinery and sent back to the sender instead of to the Spokane County elections office, according to officials. 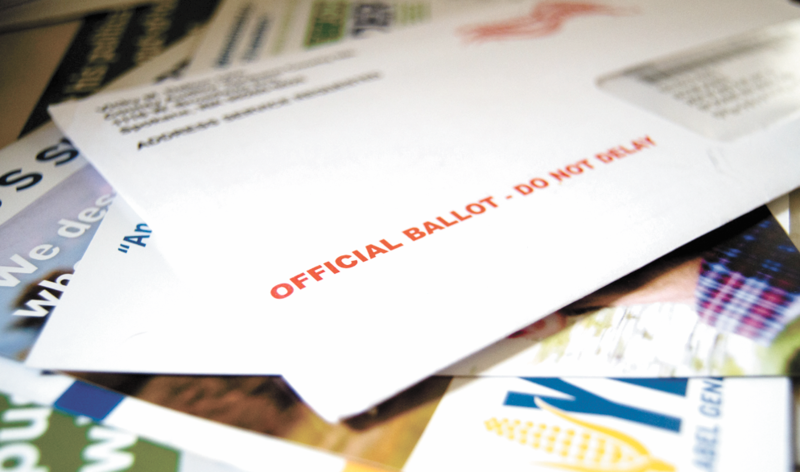 After one concerned voter contacted several candidates and government offices about receiving their completed ballot back, we decided to take a look. Postmaster Earl Eisenrich says as of Friday morning, Nov. 2, after speaking with the 15 offices he oversees, he's learned of about eight ballots that were misread by the machinery. Of those, six were intercepted by carriers before making it all the way to the original addresses and rerouted to the downtown Riverside office, where all ballots are being picked up. That means two ballots he knows of actually made it back to the people who signed them. What they believe happened is this: ballot envelopes fall outside the normal design because they have a delivery address on the front, for the Spokane County elections office, and a delivery address on the back, which belongs to the voter signing the envelope. The design enables election workers to match voter registration information and signatures before opening the envelopes, but in rare cases it confuses the mail equipment. Instead of printing that orange code that goes on an envelope on the actual back of the ballot, it gets printed on the front by mistake, so the system that sorts stacks for mail carriers to take on their delivery routes tries to send it to the sender's address, Eisenrich says. "When we're talking several hundred thousand pieces, the scope is not large, but obviously we want to be perfect, especially with the sensitivity of a ballot," Eisenrich says. So he's asked his mail carriers to take extra steps to look for signed and completed ballots. "What I’ve asked them to do given this situation is to literally run their hand through their trays of mail and look for potential ballots that could be returned," he says. "I’m trying to add another layer of protection to keep from delivering that back to one of our customers." If that does happen, people can always place their ballot back in the mail, but in light of extra concern around the safety and integrity of the election process, Eisenrich also says that a voter with a returned ballot could call USPS customer service and he will send someone out to hand deliver that ballot downtown. As far as priorities go, it's pretty close to the top, he says. "The safety of my employees is first, and ballots and election material is second," Eisenrich says. "It is super high priority for us." If for some reason a voted and signed ballot is returned through the mail to a voter who doesn't see it in time to get it to the elections office by Election Day, so long as that orange bar shows a date before Nov. 6, the office could still count it if voters got it in before Nov. 27, Spokane County Auditor Vicky Dalton says. "As long as we can show it was processed Election Day or earlier, we are going to be able to count that ballot," she says. This isn't the first time the elections office has had issues with the design of their envelopes, Dalton says. "For the first two years of vote by mail ... this error happened frequently enough to be noticeable, but we’ve really had no issues with it since," Dalton says. "We worked with the Post Office and they worked with their equipment to make it so they could handle the basic nonstandard layout that we had." For now, with no real indication that there's a larger issue, Dalton says the county still wants to encourage people to mail in their ballots and use the official drop boxes located around the county. She also wants to thank the voter who called in with their concern. "This voter did the right thing," Dalton says. "If voters think there's a problem, if voters think there’s an issue, call us. If we need to replace a ballot or there’s some kind of problem with their delivery, we need to know." Ballots need to be postmarked by Nov. 6 or dropped in an official county elections drop box before 8 pm that day to be counted.